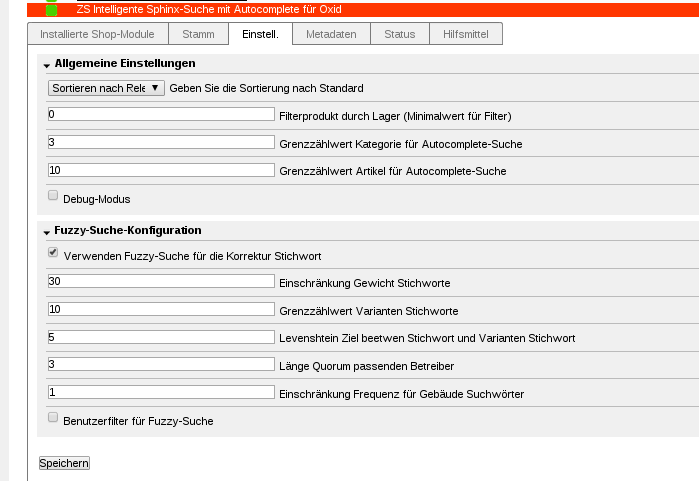 OXID eXchange | Sphinx-Suche mit Autocomplete for OXID 1.7.5 | Stable | CE | 4.7.x - 4.9.x - search | Module, Themes, Language Packs direkt herunterladen! The module Sphinx Search with Autocomplete for OXID for makes it possible to search via category, product and static CMS pages in your shop. Sphinx Search ensures easy findability of desired products and increases the conversion rate of your online store. The high search quality in the shop is achieved by the consideration of synonyms, possible typing and typing errors, as well as autocomplete function. Category names and images appear in a pop-up window with matching search results.